Where someone lives impacts how they live. Track your patients’ place history to determine if environmental and industrial hazards put them at risk for certain types of diseases. You can diagnose the root cause of community health issues and plan steps to mitigate them. 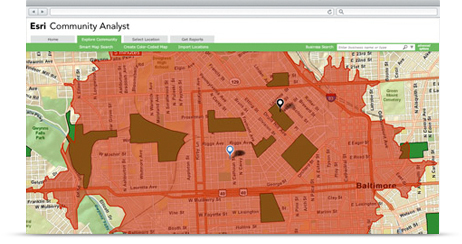 Esri maps and spatial analysis can help you get better insights into the health of your patients and your community. See how the places you’ve lived and worked may contribute to your personal health risks. Map, identify, and raise awareness about environmental and social hazards that might impact your community. Overlay disease and hazard data to test different hypotheses and analyze correlations between potential causes and outcomes. 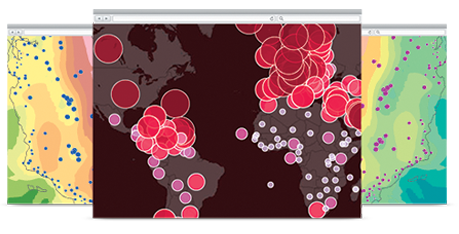 Build interactive web apps that let people interactively explore their place history. Create maps of common health hazards and reveal startling patterns about the incidence of heart attacks, diabetes, and other issues. Unlock sanitized data about patients that can contribute to medical research into geographically linked illness. Create portals that catalog the health of your community and compare them to authoritative data from public and private partners. 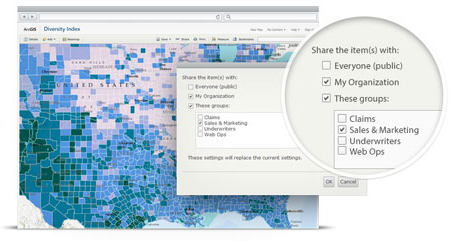 Learn more about ArcGIS Open Data. Drill into demographic information about people in your community to detect relationships between disease and social or genetic factors. Create reports that summarize the common characteristics of people with symptoms. Learn more about Community Analyst. Get the latest news for health and human services delivered directly to you.